1b. 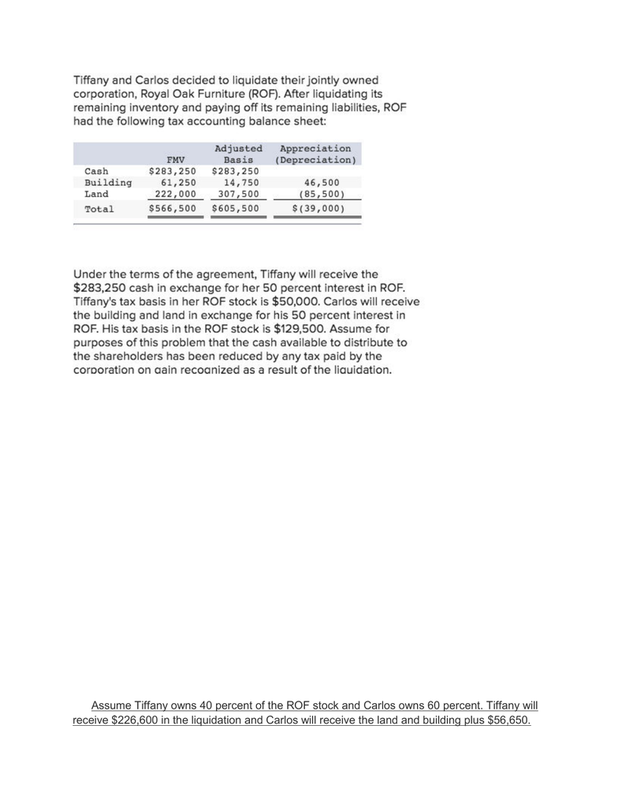 What amount of gain or loss does Tiffany recognize in the complete liquidation? 1c.What amount of gain or loss does Carlos recognize in the complete liquidation? 1d. What is Carlos’s tax basis in the building and land after the complete liquidation? receive $226,600 in the liquidation and Carlos will receive the land and building plus $56,650.